Flooring is such an important part of any room. 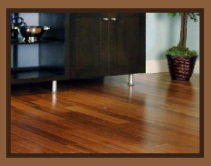 AlMichael’s installs, cleans, repairs, and refinished hardwood flooring. Professional hardwood flooring installation can add beauty and elegance to any room in your home including living rooms, kitchens, dining rooms, and bathrooms. Hardwood floors are durable and simple to clean and we carry a wide range of hardwood colors, styles, and textures to choose from. Call us today: 512.442.6410. You can depend on receiving our high quality services at a much more affordable price than larger competitors due to our long-standing business relationships with major suppliers of flooring materials such as Shaw, Mohawk, Mannington, and Bruce. 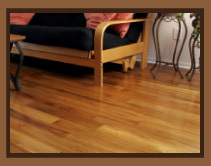 Bring back the shine of your hardwood floors with our refinishing service. Whether you choose to stain your hardwood or leave your natural wood tone, it is a fast and economical way to make your hardwood floors look like new again. Sometimes hardwood floor planks need to be replaced. If your hardwood flooring planks are damaged due to home construction, broken planks, and even termites, we can repair the damaged areas for you. Over time, scratches can occur no matter how careful we try to be. Sometimes our family pet can accidentally scratch hardwood or moving a heavy piece of furniture can cause a scratches too. A leaky pipe may cause water damage. No worries! 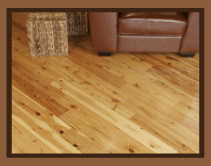 We can restore your hardwood floors and make the blemishes disappear quickly and affordably. Click here for our carpet cleaning coupons!